Raspberry Pi vs Arduino - Which Development Board Is Better? A look around the web will show you ingenious and practical projects made by average folks and DIY enthusiasts - from smart beer fridges, DIY weather stations, to smart appliances that make one’s home more comfortable. Perhaps you have heard of these two popular boards, but are not sure how they work. If this is true, you will definitely want to read the rest of the guide. We will look at the Raspberry Pi and Arduino - how they work, their advantages and disadvantages, and more. If you’ve always wanted to try your hands on DIY electronics but don’t know which board to use, you will have a better idea where to get started after reading this guide. The Raspberry Pi is a small computer, about the size of a credit card. Not only does the single-board computer fit in the palm of your hand, the Pi also fits even the tightest of budgets. The Raspberry Pi comes in two versions: the lighter Model A ($25) and Model B ($35) which is fitted with better hardware. The Raspberry Pi Foundation made the Pi to get affordable computers into the hands of children around the globe while introducing them to the world of programming. But while the device was well-received by the foundation’s target audience, the Raspberry Pi was also embraced by other and older groups. For DIY folks, tinkerers, and programmers, the microcomputer became the leading platform for electronics projects - from setting up affordable media centers, building alarm systems, to controlling robots and IoT devices. Since the Pi’s initial release, the demand for the basic computer only grew through the years. 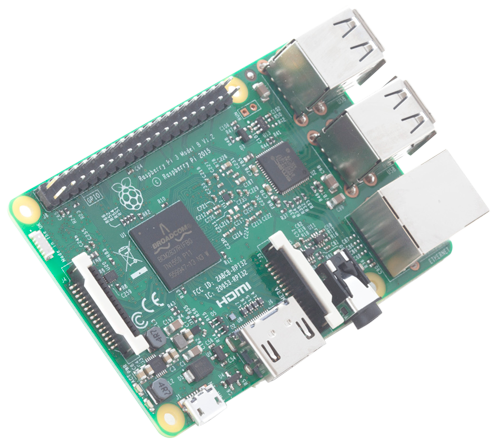 Hobbyists, educational institutions, and even the industrial sector use the Raspberry Pi to build machines, develop new technologies, and streamline control systems. This year, the sales of the credit card-sized computer broke the 5 million-mark, making it the most successful British computer! The Raspberry Pi is an amazing microcomputer - and it even has its own official operating system, Raspbian. However, this nifty device has limitations. 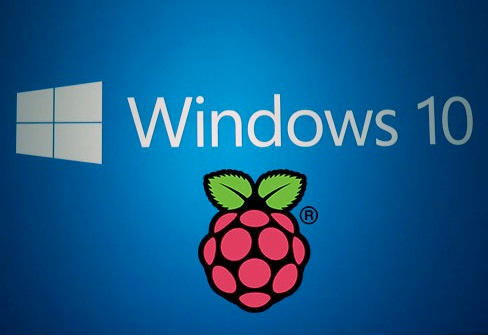 For starters, the Pi cannot run Windows, the most popular operating system. If you’re one of the 1.2 billion people who use Windows (and MS Office) in their day-to-day activities, you may need to spend time getting a grip on Linux and its distributions. Moreover, the Pi isn’t designed to replace a good desktop computer or laptop. Sure, the Pi can have elements you expect from a computer (ex: desktop environment, web browsers, and more). However, it still has a long way to go before it can rival a laptop’s processing power. But even with such limitations, the Raspberry Pi’s versatility is impressive. It packs a lot of hardware in a tight and inexpensive frame, ideal for DIY projects, experiments, and hobby electronics. What’s Inside The Pi Board? The Raspberry Pi 1 Model A was the original Pi, introduced in 2012. It came with an SoC (system-on-a-chip) setup with the Broadcom BCM2835 processor at its core. The single-board computer had a CPU, GPU, A/V processing, and other essential components, all packed in a low-power board with a 700MHz single-core processor. While the first iteration of the Pi was impressive for its time, tech-savvy fans of the product thought it’s underpowered and wanted an upgrade. The Raspberry Foundation did not disappoint. Thanks to plummeting manufacturing costs, the Pi got massive hardware upgrades while the price stayed the same. Yes, the best Raspberry Pi available has always cost $35. And if you’re wondering what a $35-computer has to offer, here’s what’s inside the Pi 3 Model B. The Broadcom BCM2837 SoC is built specifically for the new Raspberry Pi, fitted with 4 ARM Cortex-A53 processing cores at 1.2GHz. The SoC also includes the Broadcom VideoCore IV GPU and a 1GB LPDDR2 RAM clocked at 900MHz. With these hardware specs, the latest Raspberry Pi is 10 times faster than Pi 1 and 50% better than Pi 2. And it also surpassed both in benchmarks including Sysbench, Dhrystone, and Whetstone. The Pi 3’s Broadcom BCM43438 chip has wireless LAN, Bluetooth Low Energy, and Bluetooth 4.1 classic radio support. The components are directly built onto the board (instead of a module) to keep the Pi affordable. And you don’t even need to connect an antenna to the Raspberry Pi 3. The on-board radios are all connected to the chip antenna, soldered onto the board. The antenna’s size is microscopic, but don’t let that deceive you. It can pick up wireless LAN and Bluetooth signals through walls with ease. The third-generation Pi sports the same SMSC LAN9514 chip its predecessor has - but with a few enhancements. Just like in previous iterations, the chip is connected to the SoC using a single USB channel. It has 4 USB 2.0 ports for connecting devices and addons, and a 10/100 Ethernet LAN port was also added in the mix. GPIO stands for General Purpose Input/Output. The Raspberry Pi 3’s GPIO header has 40 pins just like its earlier models. 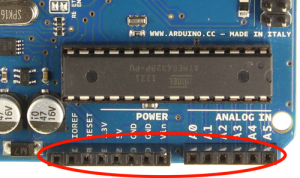 The pins are not linked to any specific function on the board. Rather, the GPIO pins are in place to give end-users low-level hardware access to the board. For example: If you want to wire LEDs and buttons directly to the Raspberry Pi, you can do so with the GPIO pins. And if you’re a Python developer, you’d be pleased to know that the latest version of Raspbian has RPi.GPIO, an awesome library of code for the GPIO pins. With just a few lines of code, you can get peripherals, LCD screens, and other hardware boards interfacing with one of the pins. A single Raspberry Pi can’t match the processing power and features of a high-end PC with the latest hardware. But the Pi’s rock-bottom price and flexibility - thanks to the GPIO’s - are nothing to scoff at. For DIY enthusiasts, tinkerers, and engineers, the Raspberry Pi’s qualities make it a scalable source of processing power. Whether you’re looking to build a supercomputer or a simple car dashboard, the Pi can do the job. 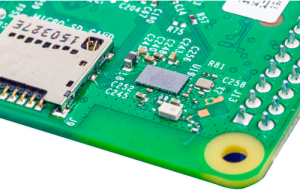 Here are four more reasons why people love the Raspberry Pi. 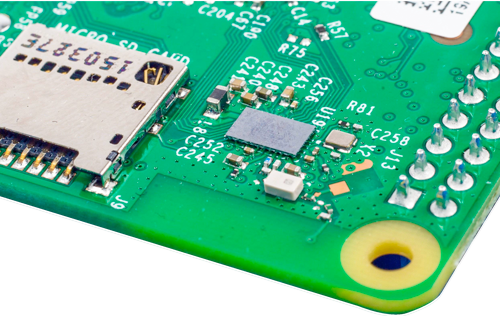 Raspberry Pi can be a game-changer for small businesses running on a tight budget. 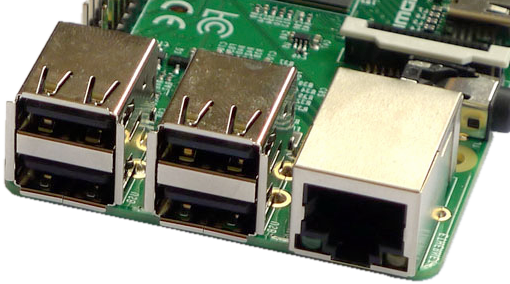 Want to use the Pi for day-to-day operations or use it as a base for a new product? No problem! The fully functional Linux microcomputer runs on open source software (for the most part) and doesn’t require licensing from the Raspberry Pi Foundation. With the Raspberry Pi, small businesses don’t have to worry about steep licensing fees. The $35-device packs enough punch to take on a long list of business-related projects - from automating small but tedious tasks, building a database and media server, to hosting a website that gets low traffic. Any task that doesn’t require Windows (or other operating systems that don’t support Linux) is doable with the Raspberry Pi. Nick Heath, chief reporter for the TechRepublic, checked the website’s forums and discovered how businesses put the microcomputer to good use. For TechRepublic user Fredden, the Raspberry Pi - combined with a custom code, battery, and a basic LCD touchscreen - makes for a reliable computer troubleshooting tool. The tool is powerful enough to monitor computer components and resolve connectivity issues. Another poster on the Raspberry Pi developer forums even suggests pairing it with a network penetration software to create a pocket-sized security testing tool - one that’s capable of finding weaknesses even in large corporate systems. But if you think only the small guys can take advantage of the pocket computer, you’d be mistaken. Even big brands and corporations like IBM and Financial Times are jumping on the bandwagon! For Financial Times’ DevOps team, the Raspberry Pi was instrumental in optimising their workflow and preventing information overwhelm. The team linked a Pi to a strip of 60 RGB LEDs to color-coded monitoring system, making it easier to spot critical changes in disk and CPU usage, HTTP traffic, and other variables. IBM, on the other hand, was impressed by the Pi’s low cost, high performance, and robust board support package. The IT giant used the Raspberry Pi to glue the Node-RED IoT engine, several Arduino boards, and sensors to create a demonstration system (proof of concept) for customers. The Raspberry Pi was released only a few years ago. But the microcomputer has already reached its third version in a short span of time. More hardware and software upgrades are on the horizon - and you can bet these will only expand the Pi’s functionality. 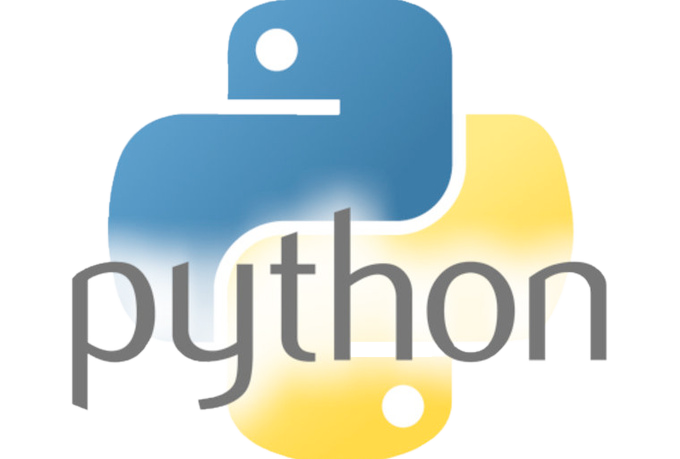 If you don’t have extensive programming experience, you can rest easy knowing that the Raspberry Pi uses Python. The programming language isn’t new. Python was invented 23 years ago, but it took off in popularity only recently. For the top 39 computer science departments in the US, the general-purpose language has replaced Java as the first programming language they teach. The reasons for Python’s rise to fame are many. One can take months or even years to get a grip on other complex programming languages like C++. Python, on the other hand, is easy enough to learn that a total beginner can piece a game together in one day. The code is close to plain english, which is so much easier to type than complex, unreadable symbols and syntax of other languages. When you get bored of simple programs that crunch numbers and output text, you can always bring Python’s libraries and modules to bear. These collections of codes which perform specific tasks can extend a program’s functionality and eliminates the need for tedious coding. 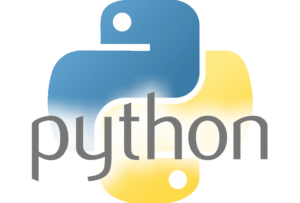 And last but not the least, Python makes it easy to find and fix errors in an instant. If you are creating a program for the first time, you will make mistakes - period. Fortunately, the language displays the errors during run time rather than failing to compile the program. Energy efficient appliances are all the rage right now - and this isn’t surprising. Such a smart device not only performs better. It also uses less power and leaves a lower carbon footprint than its less competent peers. Better energy efficiency can lead to big savings in utility bills. And for the businesses in particular, it can improve or strengthen an organisation’s corporate social responsibility (CSR) reputation. Raspberry Pi scores high in the energy efficiency department. The Pi is impressive for many reasons. It’s ultra-portable, great for web browsing and coding, and packs a punch for its size. It rivals smartphones and laptops in functionality - while consuming less than 50% energy! In a study published in ResearchGate.net which compared the energy usage of modern devices, Raspberry Pi only consumed 8.1 kilo joules/hour. The iPhone used 18 kilo joules/hour, and the Sony Vaio laptop turned out to be a power hog, consuming 180 kilo joules/hour. Everything about the Raspberry Pi encourages experimentation: affordable, powerful enough, and easy to use. Even its structure gives users a lot of options to play with. The board’s SD cards allow for easy switching, and this allows user to change the device’s functions without having to re-install software. 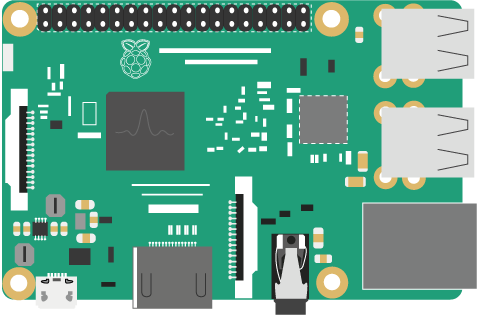 Since it swept the tech and DIY world in 2012, the Raspberry Pi became the tool of choice for countless projects. For Instructables user Zaqq, the Raspberry Pi Model B was the core component of his DIY touchscreen car computer. The car PC runs a Pi-compatible version of XBMC and is capable of streaming videos, gaming, and browsing. The touchscreen car computer doesn’t require “out of reach” tools and resources! Many Pi projects are like Zaqq’s car PC - practical, inexpensive, and fun. But the microcomputer has featured in more serious projects, too. The Raspberry Pi was seen at the Bezpeka Security Trade Show in Ukraine - functioning as a guidance system for a new rocket launcher. Perhaps this isn’t what the Pi’s creators intended. But this only shows that the Pi is versatile and powerful enough to sit alongside the latest technologies in the military, security, and intelligence industries. Now, not everything about the Pi is impressive. Just like any piece of hardware especially those with such a small form factor, you’re giving up something in exchange for other features. The Raspberry Pi may be portable, scalable, and powerful enough for its size - but it is found wanting in other features. The first Raspberry Pi’s overall performance is similar to that of a computer with an Intel Pentium 2 processor clocked at 300MHz. The board’s graphics capabilities, on the other hand, are equal to that of the original Microsoft Xbox console. While the Xbox and Intel Pentium 2 processor are cutting edge tech a decade ago, they’re dinosaurs compared to the latest hardware. And with its memory sitting at 512MB or 256MB, a Raspberry Pi won’t replace your modern desktop PC soon. Moreover, one must also consider the microcomputer’s compatibility issues. 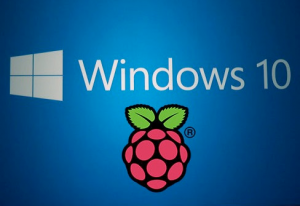 The Raspberry Pi doesn’t work with the previous versions of the Windows operating system. If you want to use Windows with the Pi, the Windows 10 IoT Core is your only option. And it’s not designed to run like the Windows OS sitting in a desktop. The IoT Core, as the name suggests, is meant for IoT devices which can access specific hardware like sensors, lights, and displays. The higher-end Raspberry Pi 3 Model B sits at $35. It’s affordable, no doubt. But straight out of the box, the microcomputer has very limited use. You see, the Pi doesn’t come with a protective case, storage device, nor a power cable. And depending on the project you’re taking on, you’ll need more than the basic addons just mentioned. The total cost to get the Raspberry Pi computer up and running is $91 - without the HDMI monitor. If an HDMI-capable display is necessary, the price goes up to $211 and $223 if you need a pair of speakers. Now, your fun DIY project may require a different set of addons and peripherals. But the point remains the same. You will spend more than the cost of the Pi. Linux is a great operating system! The OS is open source. One can download the source code and change it however he likes. This allowed programmers to create several distributions for end-users. Moreover, whitehat hackers contributing to the operating system’s development also made Linux more secure. However, the open source OS has its share of shortcomings. Linux doesn’t dominate the market, nabbing only 2.18% market share. Windows 7, on the other hand, commands 48.38% of the market. This means finding a Linux-supported application for your needs will take considerable effort, especially for business processes. And then there’s the issue of drivers. Hardware manufacturers write drivers for Windows because it’s popular, but they may leave Linux out. 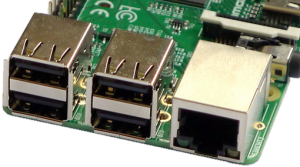 If you’re going to connect several pieces of hardware to the Linux-powered Pi, you want to make sure that your peripherals have Linux drivers. Arduino isn’t a microcomputer like the Raspberry Pi but a microcontroller packed in a blue board. It’s an open-source prototyping platform, one fitted with easy-to-use hardware and software. The board is just about the size of a credit card. But ‘big things come in small packages’ they say, and this holds true for the Arduino. It has a wide array of connectors, a small and low power ‘computer,’ and even its own software and programming language. All of these components squeezed in a tight package allow the Arduino to read inputs (ex: pressing a button) and turn those into outputs (ex: lighting an LED). You can do a lot with the credit card-sized microcontroller. The Arduino can do just about anything by interfacing sensors with computers. The Arduino can be programmed to read the light levels in a room, and adjust a light source’s brightness based on the reading. And that’s a simple example! A more complex project can involve fitting your entire home with sensors. You can then program Arduino automatically adjust the blinds, AC unit, thermostat, and other smart appliances to make your nest more comfortable. Many programmable circuit boards are available in the market. But the Arduino is the top choice for people who are into electronics and automation. What made Arduino a cut above the rest is the ease the device can be programmed. One doesn’t need a separate piece of hardware to upload a new code onto an Arduino - a USB cable will cut it. Moreover, the board’s IDE uses a simpler version of C++ so programming it won’t require a steep learning curve. 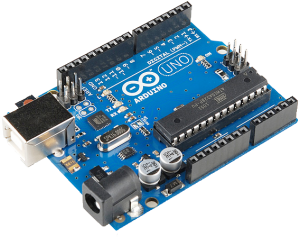 And last but not the least, Arduino’s form factor and structure makes the numerous functions of the microcontroller way more accessible than other boards. 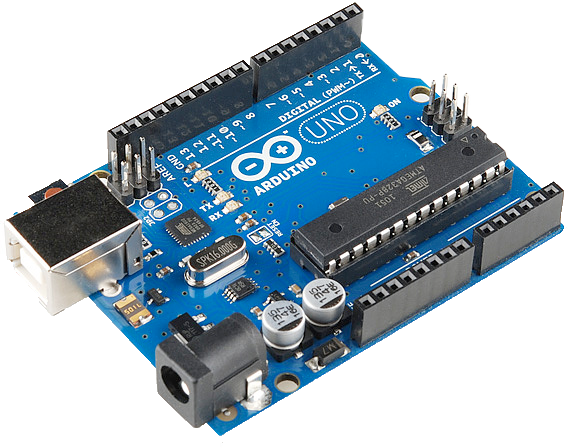 The Arduino Uno is the latest iteration of the basic Arduino USB board. It’s packed with everything you need to program and use the board. The Uno is more than capable of taking on most DIY and automation projects. But the Uno is just a part of the entire Arduino family. Are you taking on complex projects? The Arduino Mega - with 54 digital I/O pins and 16 analog inputs - may be a good choice. If you’re building IoT devices, Arduino YUN combines the power of Linux and Arduino’s ease of use to help you design connected devices. The Arduino is not a microcomputer - but these boards have a processor like the Raspberry Pi. The Uno uses an ATmega328 processor clocked at 16MHz with 32 KB flash memory and 2KB RAM. Nowhere near the Raspberry Pi 3’s quadcore SoC in terms of processing power, but it’s enough for a microcontroller. Other boards such as the Arduino Tre pack more punch. The Tre is based on the Sitara AM335x ARM Cortex-A8 1GHz processor, making it the most powerful Arduino according to Texas Instruments. The IC or Integrated Circuit is that black rectangle with metal legs. It’s the brain of the Arduino so to speak. 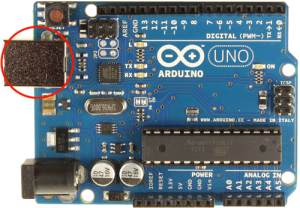 The main IC differs from one board to another, and knowing the IC type of your board can be important for loading a new program from the open-source Arduino software (IDE). You may want to read the datasheets to learn more about various ICs and their differences. Arduino boards need a power source to work. As for the Uno, the board can be powered by connecting it to a computer or wall power supply via USB cable. First, the same USB connection is needed for loading code to the board. And second, you shouldn’t connect the board to a power supply greater than 20V. That’s a guaranteed way to fry the board. So stay safe and use power sources between 6V to 12V. 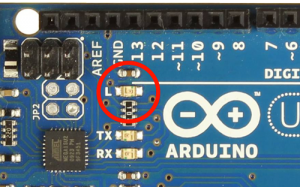 Arduino boards come with a reset button, which connects the reset pin to the ground. Pressing the button restarts whatever code is on the board. The button is especially handy if your code doesn’t repeat but want to test it over and over. The tiny LED indicator sits next to the word ‘ON,’ and it should light up whenever the board is plugged into a power source. If the LED doesn’t light up, something is wrong with your board most likely. If this happens, check the circuit to find the issue and prevent damage to the board. Analog Pins: Able to read signal from an analog sensor and convert it to a readable digital format. Digital Pins: Used for digital input and output. For example: telling if a button is pushed (input) and powering an LED (output). Ground Pins: Also called GNDs, these pins ground the circuit. 5V and 3.3V Pins: Supplies 5 and 3.3 volts of power, enough for most of the single components you can connect to an Arduino. Stuart Fraser of MakerFlux.com gave a 93% overall score to Arduino Uno and has only nice things to say about the official starter kit. “I think this is a great kit, Arduino have done really well with this one, they’ve obviously put a considerate amount of time into picking out the projects to do and which components to include” says Fraser. Many DIY folks echo Fraser’s review and have gone on to create cool gadgets for their personal use. For Instructables user VladI4, Arduino allowed him to create an affordable DIY Ambilight to brighten up a room after closing the blinds. For NicolasM113, the small blue board is at the core of his Bluetooth GPS navigator bracelet. With Arduino, you only have to worry about your latest idea. Not only do you get a complete programmable board, you also get all the support and help you need to realise your ground-breaking project. Here are three reasons why tinkerers and DIY enthusiasts of all skill levels love the blue board. Arduino is ready to use right out of the box - and this may be its most attractive feature. It’s complete with a voltage regulator, microcontroller, LED, and everything you need to bring your idea to life. All you need is a few lines of code, a USB cable, and a computer to plug into - and that’s it. 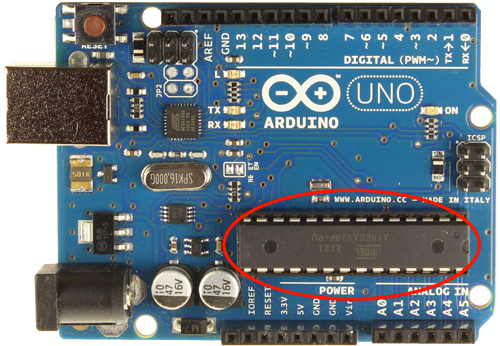 Arduino’s software is also packed with libraries, which make it easier to program the board. A simple task such as measuring voltage with other microcontrollers can prove tedious - from learning the microcontroller’s measurements, serial communication display, to USB serial converters. But thanks to Arduino’s handy library, the lengthy process is condensed to a few clicks. And then there’s Arduino’s functions, which makes coding - and life - so much easier. One of these handy functions include automatic unit conversion. With this function, you won’t have to worry about unit conversion when programming the board, allowing you to focus on the most important components of your project. Arduino forums and communities abound the internet. In these channels, one can find engineers, DIY enthusiasts, and pros talking about their latest Arduino-powered projects. But most importantly, you can find answers to their questions through these forums. And if you’re a total beginner, no need to worry as Arduino’s official website does a good job of explaining every component and function of every Arduino board. Arduino boards are packed with functionality like the Raspberry Pi. However, it also has shortcomings - and you must be aware of these before starting any project. The last thing you want to happen is to try build something using Arduino, only to discover that the board is a bad fit for your project. 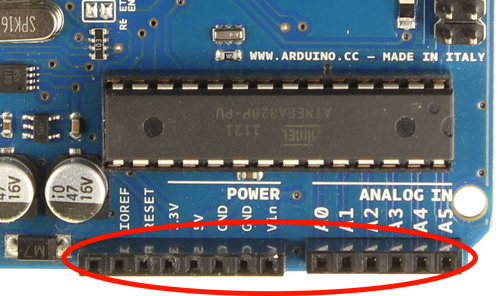 Yes, the Arduino is easy to use compared to other development boards and microcontrollers. It’s one of the things that make the board appealing to hobbyists and DIY folks. However, this can prove to be a disadvantage especially if you plan to work on complex circuitries later on. With Arduino, you don’t really learn about how microcontrollers work and their internal structures. The inclusion of libraries in the board means a user won’t learn a lot about coding, which is necessary for bigger and more complicated projects. If you’re a hobbyist who wants to build fun, innovative stuff but don’t want to go further, the Arduino is an excellent choice. But if you want to go deep in the world of microcontrollers and circuitries, it’s best to work on other microcontrollers first (to understand its ins and outs) before switching to Arduino. Between the Pi and Arduino, it’s clear who has more processing power. The Arduino’s “brain” is a 16MHz microcontroller - a far cry from the Pi 3 Model B’s 1.2GHz quadcore SoC. If you plan to use several programs and software stacks in your project, choosing Arduino may prove unwise. Chances are, the board can’t keep up with the complicated codes in your project. Arduino has its own version of C++ (which they call the “Arduino Language”). The language has a handful of small extensions and libraries - all of which are optimised for easy usage but not for computational efficiency. And while Arduino’s iteration of C++ is easier to learn, the learning curve is still steeper than a general-purpose programming language like Python. We’ve looked at the Raspberry Pi and Arduino - what they are exactly, their specs, advantages, and disadvantages. Both are wonderful pieces of hardware and sport a small form factor. But their differences are massive. 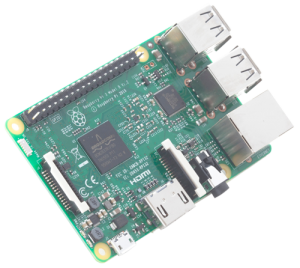 For projects requiring limited external hardware but are complex on the software side, Raspberry Pi is the board of choice. It has enough processing power and RAM necessary for running complex programs. Not to mention the Pi easier to connect to the internet compared to Arduino. 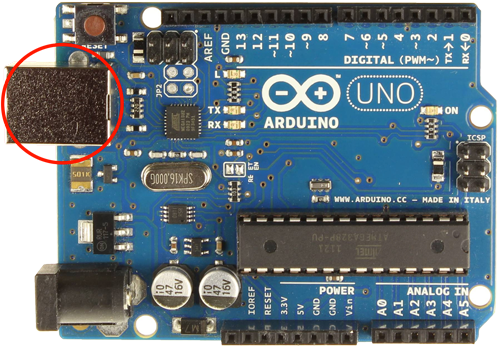 On the other hand, Arduino is best suited for projects where interfacing with complex external hardware is a must. Arduino’s processing power can’t compare to the Pi’s, making it unsuitable for running software stacks and protocols. However, it is powerful enough to handle repetitive tasks like reading data from sensors and controlling several devices simultaneously. 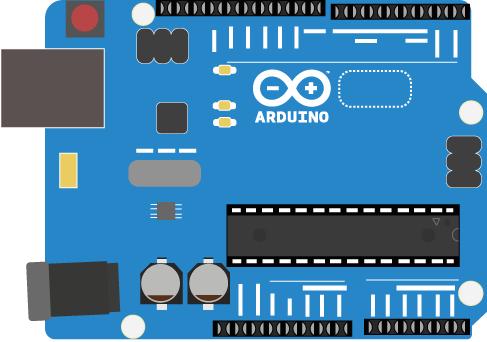 If hardware automation is at the core of your project, Arduino may be the best choice.